This plugin will display the View : Jump to Playing Song link as a button in the toolbar and as link in the Browser’s context menu. This is about as simple as a plugin could be (which is partly why I wrote it), but I’ve actually found it quite useful. Maybe you will too. Extract the jump-to-playing folder into your ~/.gnome2/rhythmbox/plugins/ directory. Posted on Tuesday, December 4th, 2007 at 1:19 pm. Tagged with: Development, plugins, Python, rhythmbox, screenshots, UI. Thanks Dan! I’m gonna see about making a few changes then I’ll merge it and update this page (as well as the version number). I really like the plugin you made for Rhythmbox. I’m not a great programmer but I’m still in college and will hopefully get better. 😛 One thing I would really like to see is an option that brings up an input box that will Jump To a song and start playing. 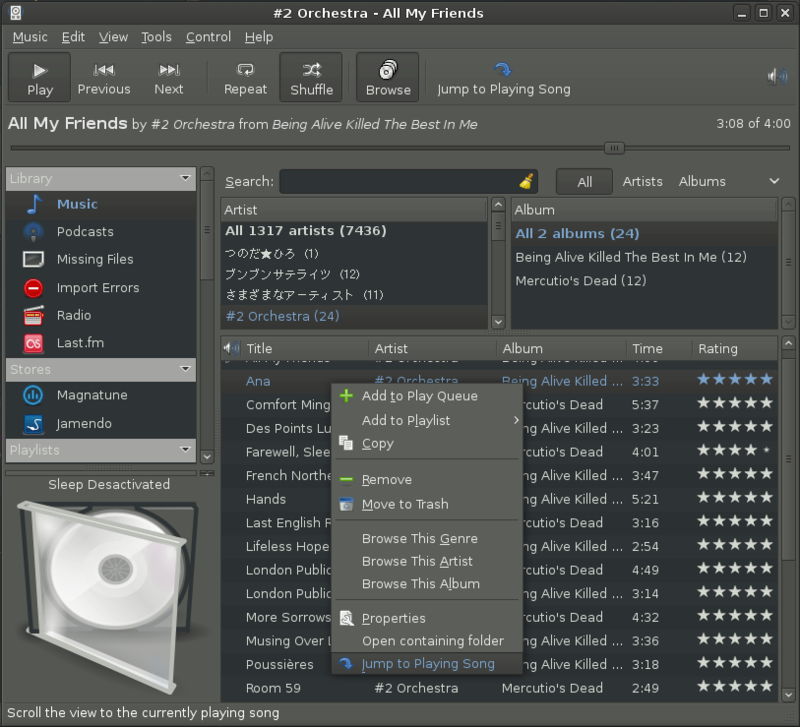 I used this feature in WinAmp years ago and I loved it. Anytime you were working and had a urgency to hear one song in particular you could use a keyboard shortcut to bring up this box to search for and play a particular song. Please let me know if this is something that you might think about implementing. I would love to help out any way possible. Let me know. Thanks so much. Keep up the good work.